Chief Mike Marshman's allegations come in a response to questions from Mayor Wheeler about police response to protests. Anti-fascists scream at Alt-Right protesters (William Gagan). 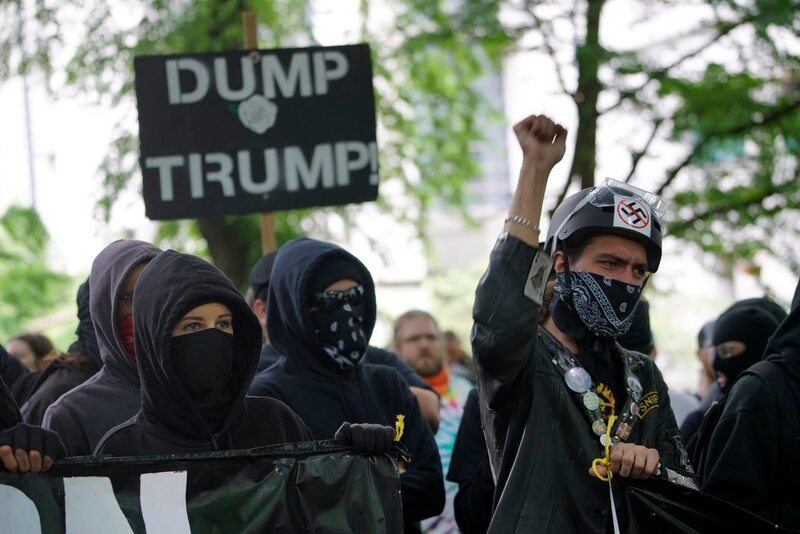 Portland Police Chief Mike Marshman said today that riot cops pushed antifascist and anarchist protesters out of downtown parks June 4 after the protesters used slingshots to launch balloons filled with urine, feces and unknown chemicals into police ranks. Marshman also told Mayor Ted Wheeler in an open letter that much of the smoke seen as officers cleared Chapman Square wasn't released by police but by the left-wing protesters themselves. He says protesters "may have been using 'gopher gassers,' small rodent poison gas devices." Marshman's allegations come in a response to Wheeler's June 13 list of five questions that demanded an accounting for police tactics at the dueling June 4 protests in downtown Portland. In the response he provided to Wheeler today, Marshman defended police decisions on several fronts. He said the decision to corral 345 people in downtown streets prevented violent confrontations between right-wing and left-wing protesters. He said photographing the detained protesters' IDs sped up their release. And he said sending police into the streets wearing riot gear was necessary because of credible reports of protesters bringing weapons—reports he says proved true. Related: Mayor Ted Wheeler asks Portland Police Bureau to justify its use of crowd-control weapons on antifa protesters. The chief's letter says police decided to remove left-wing protesters from Chapman Square after officers were hit by objects launched by protesters from slingshots. "These objects included urine and feces filled balloons, balloons with unknown chemicals, marbles, bricks and rocks," Marshman writes. "Police observed people in Chapman Square climbing atop the brick restroom structure at the south end of the park, with bricks. PPB knew that objects were already being thrown and slung and that bricks were being prepared to be thrown." Marshman sent the mayor's office photos of weapons seized—mostly hammers, scissors, other small tools and bricks—along with a picture of an officer's bruises sustained while he was wearing riot gear, which Marshman calls "personal protective equipment," or PPE. "We are also attaching a photograph of bruising suffered by one officer on June 4 who was struck by a brick while wearing full PPE," writes Marshman (the italics are his). "We believe his injuries would have been far more severe had he been wearing a standard patrol uniform." The chief's letter confirms the bureau's strategy for detaining 345 people—including about a dozen journalists—was based on fears the antifa protesters would confront the alt-right group as it headed home from its rally. Related: Far-right protesters plan return to Portland on opening night of the Waterfront Blues Festival. "Beyond the usual concerns with traffic safety and public inconvenience," Marshman writes, "there were additional threats posed by this behavior, primarily the risk that the marchers would come into physical conduct [sic] with the group they were protesting against, resulting in threats to both groups' physical safety." Marshman's reasoning for the forced photographing of IDs? Speed. 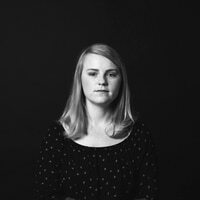 He says that writing down the names and addresses of each of the people being detained would have taken considerably longer than photographing them. Snapping a photo allowed officers to release all of the detained protesters within about an hour. He also says that PPB consulted both the City Attorney's Office and the Multnomah County District Attorney's Office before deciding to detain the protesters in order to deescalate the threat of violence—but the decision to photograph the IDs was made on the spot, to speed up the process of taking down their information. The letter says that PPB will "purge" the photos and that officers won't use them in a criminal investigation, following bureau policy.